This is a south indian dish, which is similar to Pongal or Kichadi. 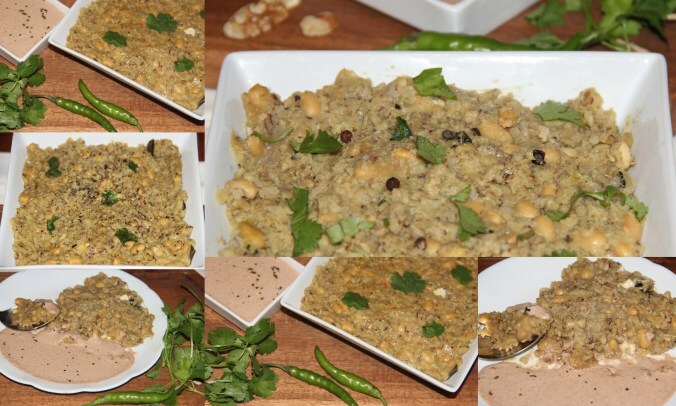 Huggi is a dish prepared on the day of Makara Sankranthi, which can be served with coconut chutney. This is made similar to Pongal with few variations. Usually Avarekayi or Indian bean is used to this dish and in this recipe have used Soya bean. Posted on January 12, 2015, in Indian, Main dish. Bookmark the permalink. 4 Comments. I imagine this is very high in protein as well as the nutrients, sounds wonderful Chitra.